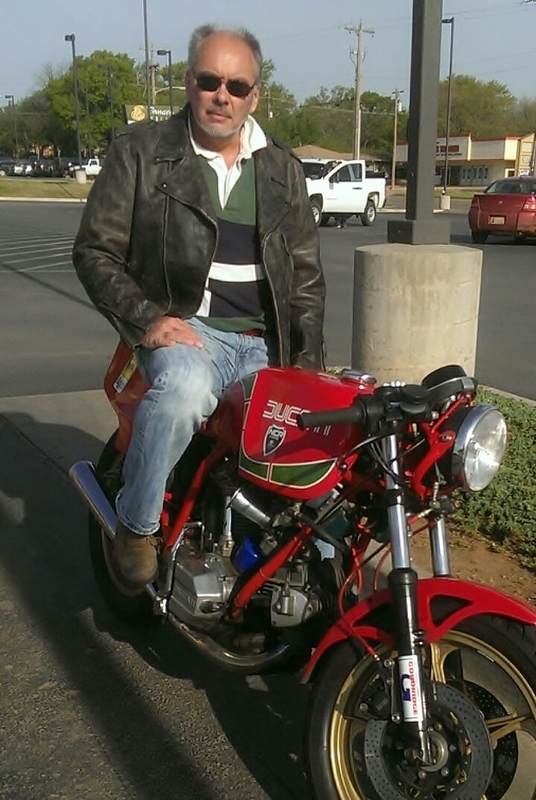 Me on my vintage NCR Ducati. Born and raised in England, I earned multiple degrees in physics, mathematics and engineering before working in the research and design areas of the automotive industry. An Invitation to become VP of Mercury Marine in 1998 brought me to Stillwater, Oklahoma, where I now call home with my wife Kelly and two Children; Ben and Harri. After retiring from Mercury Marine I was asked to lecture mathematics, and have enjoyed doing so for 9 years and this is where I started offering trips back to England. The trips have become exceedingly popular and due to demand I expanded the trips to include everyone and not just students a few years ago. I retired from lecturing earlier this year to allow more time for the trips... which brings us to the reason for this site! I have a passion for many things including vintage cars and motorcycles, photography, music, playing guitar (poorly! ), good food, and, of course, travel! I design my own motorcycles as well as amplifiers for both stereo and guitar.